If you need a red diesel fuel supplier in Glasgow then Ingoe Oils are here to help! With us having over 100 strategically positioned depots throughout the UK means we can get your red diesel fuel order to you today, or tomorrow, and at the best possible price is all possible with us. Please give us a quick call now on 0800 917 7493 and one of our team will be more than happy to assist you with your red diesel fuel requirements in Glasgow, or please fill in our online quote form on this page. 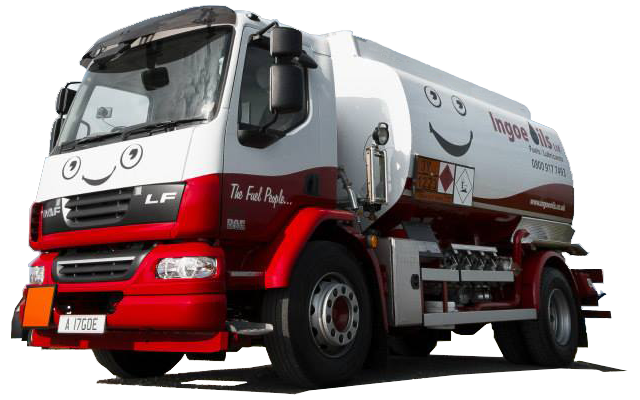 Ingoe oils have been supplying fuels & lubricants in and around the Glasgow area for a number of years, over this time, we have become experts and the go-to fuel / oil company of choice in Glasgow. We have fuel trucks in and around Glasgow every day, delivering fuel & oil a number of times. This means if you need red diesel right now then chances are we have a truck near you ready to deliver your red diesel fuel right now! Give us a call now on 0800 917 7493 to check our delivery slots and to book your red diesel fuel order for delivery in Glasgow. If you have any other requirements for fuels and lubricants not listed. We’re usually able to help source these, so call and talk to the team here at Ingoe Oils and see if we’re able to help you. Ingoe Oils has experienced exceptionally high growth within the last couple of years. This has led to the acquisition of new tankers which has enabled Ingoe Oils to increase supply to 36,000 litres of fuel in a single drop across the UK. This growth has taken the company from its humble beginnings, as a local North West fuel supplier, to attracting a host of large commercial customers across the nation. It means we now specialise in providing large volume customers with frequent fuel supply throughout the UK. This has been achieved by introducing a streamlined service combined with hand selected drivers and account managers. Leading to a dynamic and progressive fuel management system which works efficiently.